Mining and logging are two of the most dangerous occupations in America. They are very physically demanding jobs. Although deaths in mining have gone down over the past few decades, in the first quarter of 2015 alone, 10 miners died. Over 150 workers were killed in the mining industry in 2013. 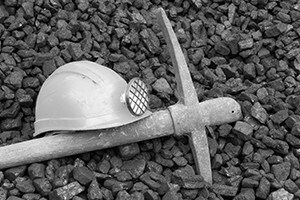 For employment injuries or fatalities arising out of mining and logging accidents, you may be able to recover workers' compensation benefits. The Boston lawyers at Pulgini & Norton provide aggressive representation for employees injured on the job. Many miners and loggers are seriously hurt at work. Sometimes the injury is acute and due to an accident, and sometimes it may be a neck or back injury arising out of repetitive and demanding motions. Injuries or death can result when a mine collapses, or when a logger falls from a tree or gets in a tractor accident. The Department of Industrial Accidents (DIA) administers the workers' compensation system in Massachusetts. If you are an employee and suffer injuries in a mining or logging accident that lead to lost work time of five full or partial calendar days, your employer is required to file a form report with the DIA and its insurer. Within 14 days of receiving this form, the insurer will have to investigate the mining or logging claim and decide whether to pay. These claims are supposed to be paid without reference to fault. In a personal injury lawsuit, your recovery could be reduced if you were partly at fault for an accident, but if you were partly at fault for a mining or logging accident, this will not reduce your workers' compensation benefits. If the insurer denies the claim, you will need to go through dispute procedures at the DIA. There are several levels: conciliation, conference, hearing, and review board. The first two stages are informal. Only once all the administrative remedies are exhausted can you or the insurer appeal to the Massachusetts Court of Appeals. In some tragic cases, mining or logging accidents result in the deaths of employees. If you are the spouse or minor child of a worker who died of injuries that occurred at work, you may be eligible for death benefits. This includes $4,000 in burial expenses and weekly benefits that are two-thirds of the deceased employee's average weekly wage, up to the maximum amount set by Massachusetts. A surviving spouse can receive such benefits as long as he or she does not remarry. Upon the remarriage of a surviving spouse, $60 per week is paid to each eligible dependent child. The total amount paid to dependent children may not be greater than what the spouse had been receiving. If you are injured or a loved one is killed in a mining or logging accident in the Boston area, it is important to contact a knowledgeable workplace accident attorney. At Pulgini & Norton, we also represent individuals in Newton, Waltham, Weymouth, and other Massachusetts cities. Call us at 781-843-2200 or contact us via our online form for a consultation.